Whew! What a week! As I said, my daughter had the past week at day camp and you would think that would make things less hectic for me, as I'd only have one child with me. However, it ended up being even more hectic--I think because my son had no one to play with during the day and therefore wanted me to entertain him. Also, even though my daughter was at camp, I still had to drive to the next town over to drop her off and pick her up each day. Then, on her last day of camp, she sprained her ankle. She didn't do this at camp, but waiting for the bus. I had a doctor's appointment, so my friend/her friend's mother took her that day. She was messing around and somehow twisted badly. My friend thought she was okay when she got on the bus--my daughter wasn't limping--but, a few hours later, the camp called me. She did get to spend most of the day at camp, but I needed to come get her before the buses got there for pick up. Because of that, we've spent most of the weekend at home--my daughter can't walk on her ankle, but she is quite good at hopping around. Honestly, the forced weekend at home has really been a good thing for us. Not that I've gotten much actual reading done...but I've been powering through audiobooks! I have actually managed to slim down my currently reading from last week, although I will admit that I was hoping to clear it off. Oh well, such is life. 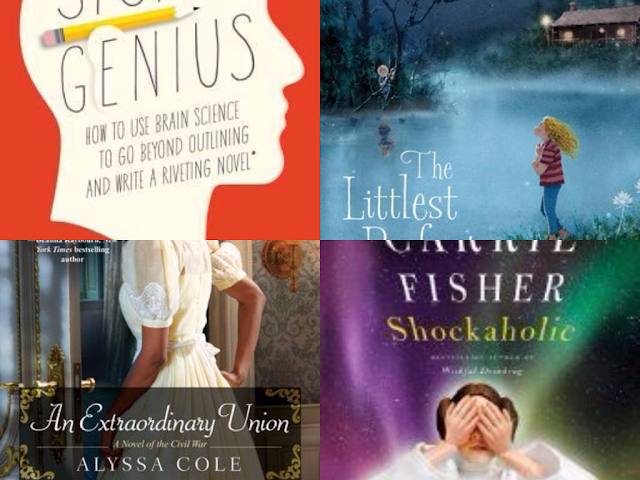 Story Genius: How to Use Brain Science to Go Beyond Outlining and Write a Riveting Novel (Before You Waste Three Years Writing 327 Pages That Go Nowhere) is still coming along. This is going to be a book that I won't ever actually finish. I mean, I'm going to finish reading it, of course. But then I'll just flip back and continue actually working through it. I've read a number of books on writing and I really think that Cron's method is the best fit for me. I haven't made too much progress with An Extraordinary Union (The Loyal League) , only because I've been working on other titles. However, it is currently #2 on my priority list and will probably hit it hard starting tomorrow. 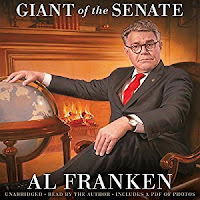 As I said next week, even though my focus was on finishing my current reads, I would start a new audiobook once I finished the one I was on. Well, I did that...and then I finished that one. Now, I'm on Shockaholic and finding it to be quite entertaining. I'm actually listening to it as a I write this and I'll probably finish it up this evening. Which is a good thing, because I realized I had quite the backlog in my audible account. Oops! In Her Shoes was a fairly fun listen/re-read. As I said, I wasn't overly fond of the narrator. Frankly, she just sounded too old for the story. I've actually been thinking about audiobook narrators lately, and you'll most likely see those thoughts in a post in the next couple of weeks. 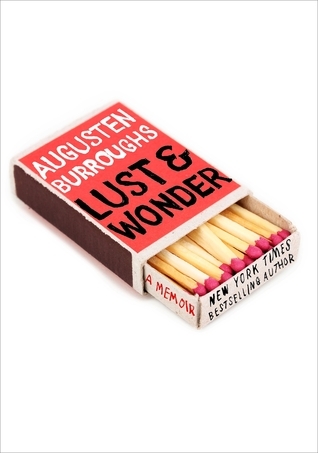 Lust and Wonder: A Memoir was, for me, surprisingly enjoyable. I didn't enjoy the one other book by Burroughs that I had read (Running with Scissors) and I wasn't looking forward to a repeat. But, on the whole, this one just worked better on nearly every level for me. 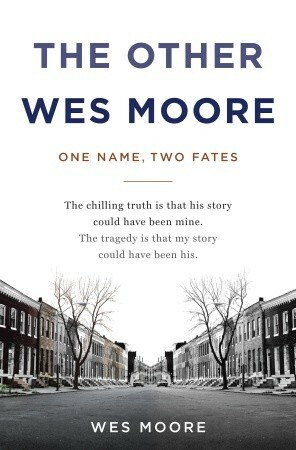 I'm kind of ashamed that it took me as long as it did to read The Other Wes Moore: One Name, Two Fates . The book is actually quite short, about 180 pages (it looks longer, thanks to about 50 pages of appendices) and it is a fascinating tale. Sadly, that's what happens when you have too many books going at once. That should be a lesson for me! 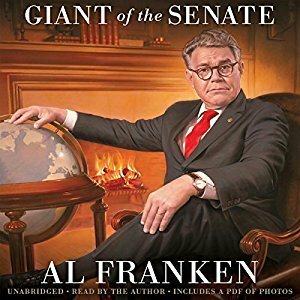 I powered through Al Franken, Giant of the Senate . I'm not going to say much about it here, because I've decided to do an actual review of it. Let's just say it was a strangely surreal experience to be reading it right now. Intrigued? Come back later this week to see what I mean.